There’s nothing hidden about Hideaway, a performance-space-meets-cafe-meets-BnB in Vagator. 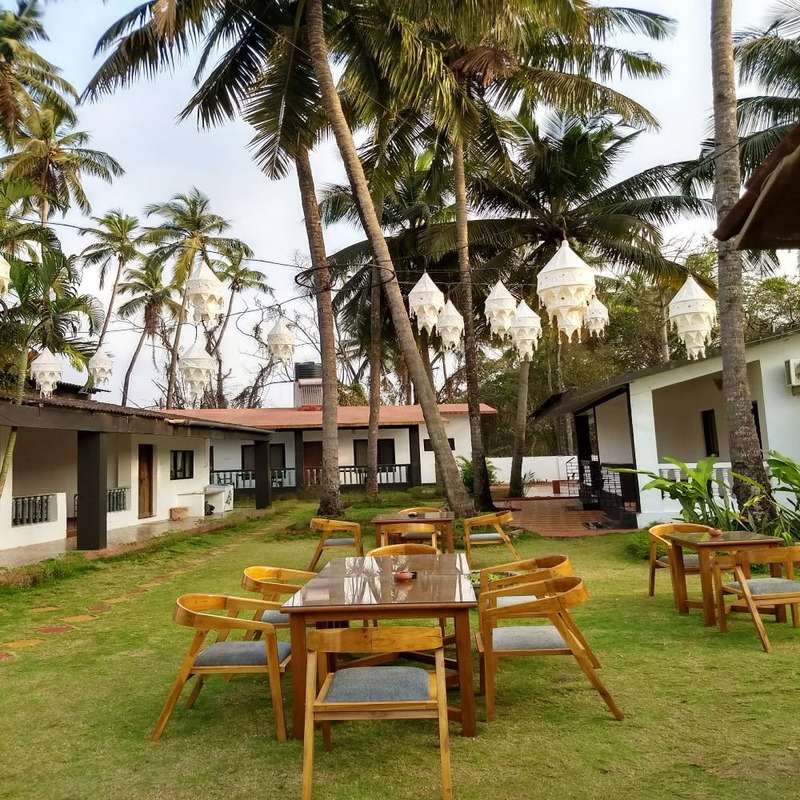 Wrapped in a warm embrace of palm trees, this one’s doing some of the best coffees and Urak cocktails in North Goa. It’s run by 3 guys who are all passionate about music and are hoping to host weekly gigs with artists from across the country. You know a feel-good cafe when you see one and Hideaway has that quality that instantly makes you feel at home. The music that fills the air, a shelf full of books, a batch of fresh Kerala pickles up for grabs and the occasional visits from the neighbouring peacocks… This space is not the textbook definition of a Goan cafe and that itself is a breath of fresh air. While the whole focus of Hideaway is to invite musicians for gigs, they don’t take the food lightly either. With pasta, sandwiches and a few Goan staples, they promise you the perfect cuppa (or a glass of fresh smoothie) to wash everything down. Think everything from flat white to dark chocolate mint mocha. If coffee isn't your jam, get yourself a pot of Kerala Vanilla or Mango Storm, because, summer is for fruity brews, right? And come evening, you have to switch to their fresh Urak cocktails that come in Mango and Vimto (a local berry juice) flavours. Oh, and we forgot to mention, they’ve got a bed and breakfast called IKRU that’s run by the equally hospitable, Bhagya from Bangalore. The rooms are good for two and come with kitchenettes and private-sit outs – you know, just in case you plan on staying longer at Hideaway or are looking for an affordable accommodation that's not too far from the beaches and cafes. The prices here start at INR 1,500 a night. To be fair, Hideaway is only a few weeks-old and is still finding its feet but soon enough, you’ll hear of their gigs if you’re following them on Instagram. They might even have a Kerala food pop-up, we hear. Their bar menu has the usual beer, gin, vodka and the likes but we'd have loved a house cocktail or two. They’ll remain open through the year and are shut on Tuesdays.